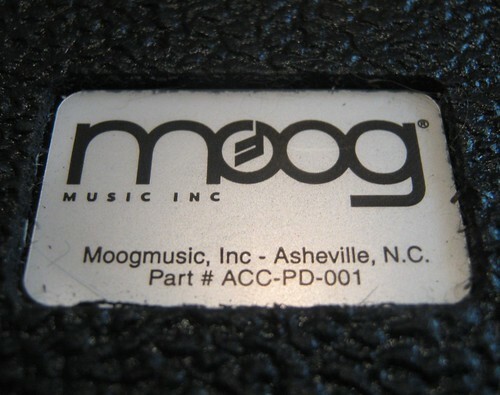 The Moog badge, as seen here on a foot pedal, is probably the only one that could spawn a festival. Photo (CC-BY) Audiotecna. You have to hand it to Moog – what other brand in music these days inspires this kind of passion, let alone an entire music festival? The bigger story this year from a historical perspective, though, is the coming 40th anniversary of the Minimoog keyboard. It’s hard to believe, but the breakthrough keyboard synth has been around for four decades. The fact that people still go out and (at a premium, no less) pick up a Minimoog today is quite a testament to Dr. Moog and his legacy.